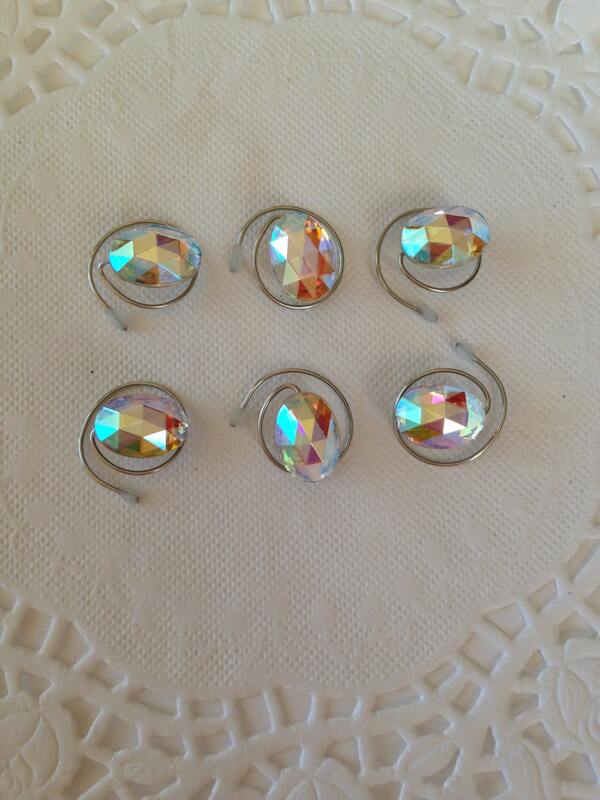 Dazzling Crystal AB Oval Hair Swirls for your hair. Easy to use, Elegant to wear. Just twist them into your hair until the wire disappears and then twist in the opposite direction and they will come right out. Wonderful Hair Accessory for Ballroom Dancers, the Marine Corps Ball, Debutante Ball or Pageant Girls. 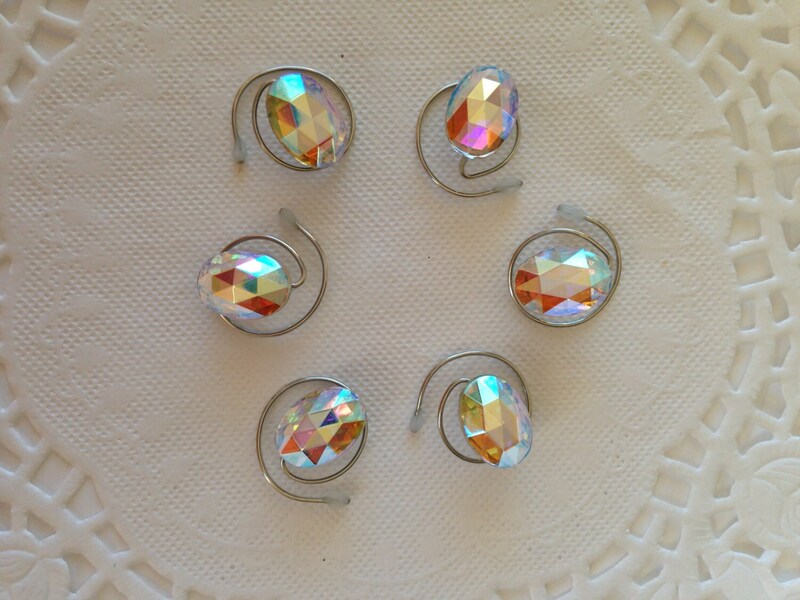 This listing is for 6 glass crystal ab oval rhinestone hair swirls. 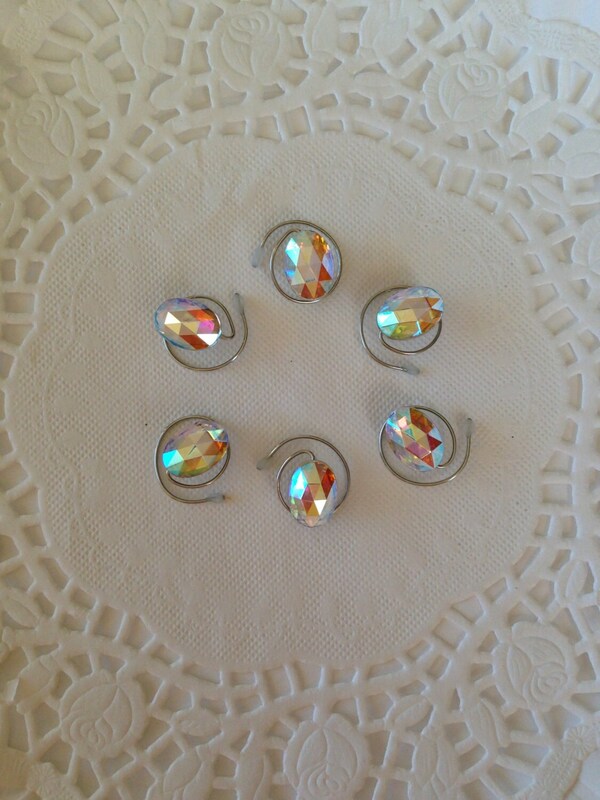 Each oval is about 10mm by 12mm and mounted on a sturdy tarnish resistant wire. Hair Swirls, Hair Spins, or Hair Sprials are perfect for weddings, proms, dancers, majorettes or skaters. 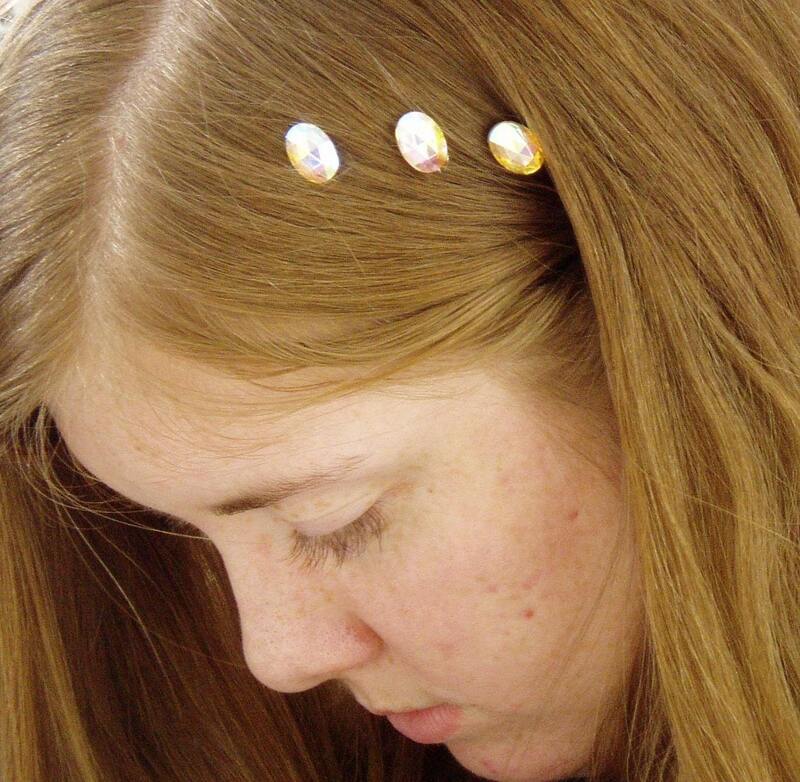 Also, perfect to add just that extra pizzazz to an everyday hair style. 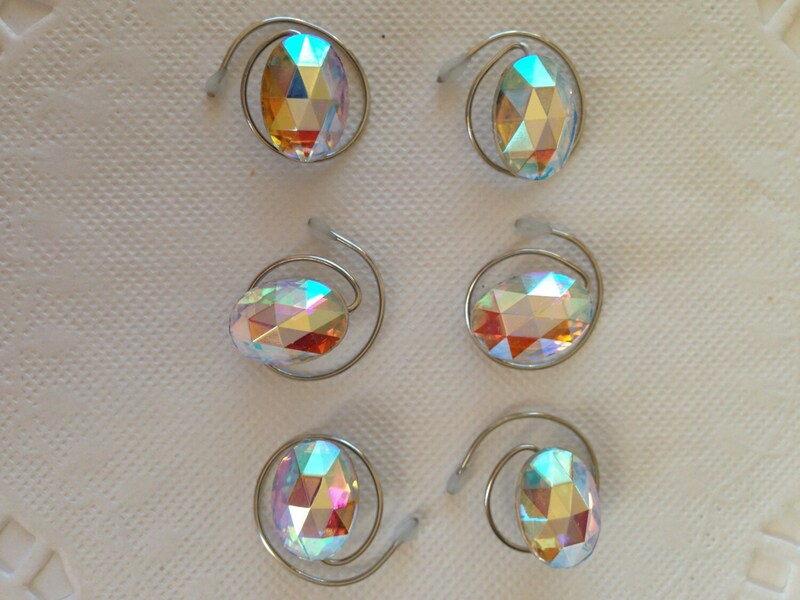 If you need more than one set of Oval Aurora Borealis hair swirls I can list more.